Wilkie Collins was born as William Wilkie Collins on 8th January 1824 was a Victorian era author. He was born in Marylebone, London where he stayed for almost his entire life that spanned sixty five years. His most famous works that are still serenaded today were the Moonstone and The Woman in White. The moonstone is said to be the very first detective novel ever written whereas the Woman in White is the now typical, sensational novel. Apart from these celebrated works, he also authored thirty books, a hundred or so articles, essays, short stories and twelve or more plays. Armadale was first published in 1864–66. Armadale is the 3rd of the four famous novels written by Collins during the 1860s. Wilkie Collins published No Name in 1862. Main theme of the novel is illegitimacy. Charles Dickens’ magazine All the Year Round originally serialised it before it was published as a book. The haunted hotel might sound like a ghost story and yes, there is a ghost as well. However, it is more of a mystery novel. The Woman in White has many famous quotes which you can read below. Wilkie Collins embraced what might be called the out of the box or bohemian style of living. He appreciated food and drink, often to a large degree, stylish clothes and women. He is also known to have consumed opium as an antidote for his failing health later on in his life. His social circle consisted of people just like him, artists, authors, poets and such like. Charles Dickens was one such friend with whom he worked and socialized with. His other friends included novelists, actors and actresses, musicians, playwrights, physicians and also the social butterflies of the Victorian era. The way he lived portrays a bone deep cynicism and disregard for the way of living during the Victorian era. This thought was conveyed in his books and other works infused with humorous references and also the comprehension of the prevalent cruelties and injustice meted out to the society at large. Wilkie Collins was the first child of William Collins who was a well-known landscapist and an artist. He got his name from his godfather, Sir David Wilkie. His schooling commenced in 1835 at the Maida Hill academy. However, after two years he was forced to leave and travel to France and Italy along with his parents and the recently born younger brother Charles. Later in life, he admitted that the trip to Italy had done him a world of good ad that he got to learn a lot about art, landscapes and persons that he ever would have learned, had he stayed at school. After their return to London, he recommenced his studies at Coles. He claimed to have told his very first story to a hostel bully to lay him off and that otherwise he would never have known that this talent lay dormant in him. 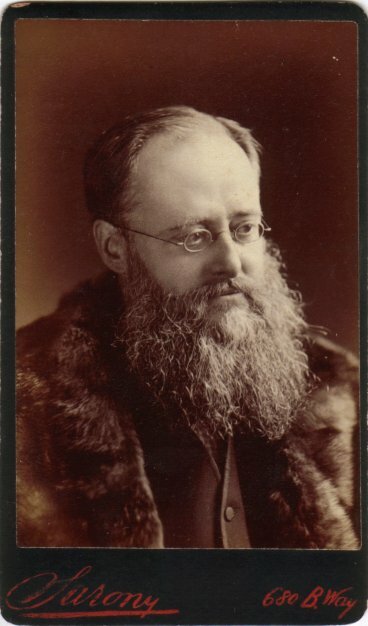 Physically, Wilkie Collins was short with rather large head and shoulders. He started wearing spectacles in his early twenties. He later joined Lincolns Inn to study law, although he never practiced it. He, however, used the law to write his stories. His other prominent works include Basil, Hide and Seek, Antonina and the Dead Secret. His health remained fragile and in 1889, after an accident, he got bronchitis and a stroke and finally passed away on the 23rd September. Here are some of the famous quotes by Wilkie Collins.